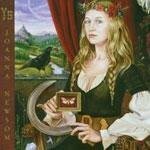 What are we to make of Joanna Newsom's strange new album, Ys? The buzz pegs it as a revolutionary masterpiece, a major work of art worthy of museum display. Other voices are more sceptical. My favourite comes from the metacritic website where one post opines, "This will be on every critics top 10 list, and nobody will listen to it for more than five minutes." This is meant as condemnation, but it needn't be taken that way in order for it to be accurate. I have spent the past week or two listening to this puzzling album every day, not for enjoyment, but rather out of a sense of curiosity and duty. I still don't know what to make of it. As a disclaimer, let me say that I harbour some resentment over having to do something I absolutely hate to do with pop music; seek out the lyrics and read them like a work of literature. The music was interesting enough but failed to induce the orgasmic response the internet told me I should have. Maybe the secret was hidden in the lyrics, I thought. It is, but it isn't. Newsom is, in a word, verbose. That's fine, because it's clear from a perusal of the lyric sheet that her pretensions are towards a post-renaissance poetry along the lines of Alexander Pope. I'm all for approaching an artist on her own terms, once I figure out what they are. Indeed, some of her imagery is interesting, beautiful or disturbing. I especially like her ominous description of "black airplanes" and "the retreat of their blind and hairless cavalry" from Only Skin. In the end though, I don't know what any of it means or is supposed to refer to. No problem, let's call it surreal and therefore legitimize its meaninglessness. After all, it certainly looks like poetry. Read it yourself, tell me I'm wrong. Newsom plays the harp and is accompanied by terrific, eccentric arrangements from Van Dyke Parks. The setting is unremittingly lovely. Her voice is unique and intensely expressive. Anybody put off by it has no business calling themselves a pop music fan. I may not know what she is saying, but she certainly seems to, and that's all that really counts in terms of performance. She is committed to this material and it really comes across. Overall, the musical blueprint used here is unique, with extended pieces owing nothing to the obvious predecessors of Dylan or Prog. What Newsom has crafted is original, singular, and appealing; no mean feat. She succeeds at creating a world apart, hermetic and inviting at the same time. If Ys represents a major artistic accomplishment, this is the reason. In summary, serious props must be given to Newsom for creating something musically new and enjoyable, but serious doubts remain about what it all means and how we are supposed to feel about it. At least with a band like the Ramones, whose lyrics are purposely inane, I know I'm supposed to jump up and down and throw myself at the wall. With Ys I'm left kind of stumped, which is (sorry internet buzz) a major problem. Like a museum piece, we can admire it, call it an artistic achievement, even appreciate parts of it on a visceral level, but not everything hanging on the wall adds up to much of significance, so let's not get carried away.